I don’t know why this is the first time re-tuning the pinpointer has been brought to my attention, but I am thrilled to have found this video, which was put together by Garrett and shows a few tricks you can use with the pro-pointer. The video was submitted to detecting365.com by Rob who hosts the Ozarks Metal Detecting Blog. Even if you think you know it all, it’s definitely worth a look. Pinpointers….just one more thing to have to fool with…geez! How did I ever find all those coins? Through the magical powers of osmosis? The Garrett pin pointer is the only real pin pointer on the market. I am fortunate enough to have a family that buy me new gadgets that they think I will enjoy so when the new Minelab pointer was released they bought me one to replace my well worn Garrett. The Minelab pointer costs more yet delivers less power so mine is now back in it’s box gathering dust. 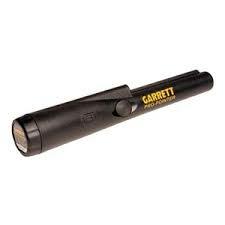 Surely there is a company out there that could deliver a unit with the same power as the Garrett but for a more affordable price ? The cheapest Garrett metal detector is only a few $$$ more than the cost of a new Pro pointer and would probably last longer, maybe we should attach one of these to the stems of our detectors as a more robust alternative to the pro pointer ? Lucky you with the gadget gifting. My propointer was also a gift–the gift that keeps on giving. I’m a Minelab girl, but not when it comes to their pinpointer–I’ve heard its not as good as the Garrett, although the design is similar. Whats that all about?